On November 25, 2018, the 2008 China Science and Technology Communication Forum, themed as "Science and Technology Communication for the Next Generation in the Internet Era", was held in Beijing. The ceremony of the 2018 Science and Technology Communication Award was held at the forum. There were 6 candidates for Excellent Individual, 4 for Excellent Team and 30 for Excellent Works. 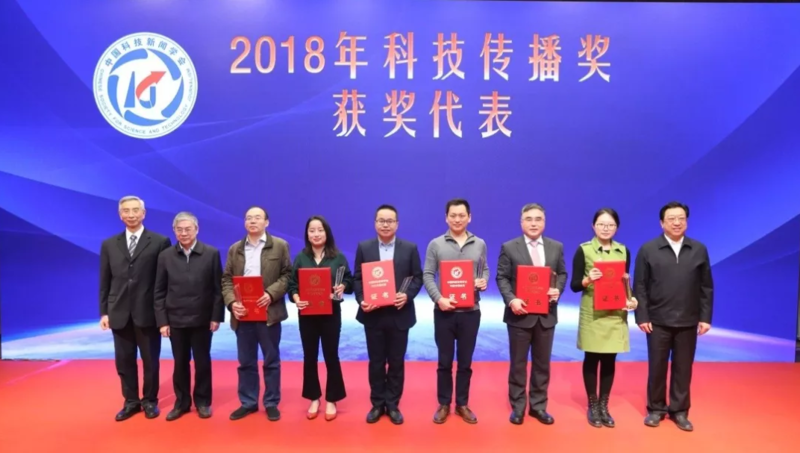 Wang Xiaoming, curator of Shanghai Science and Technology Museum, was awarded the Excellent Individual Award and delivered a speech on behalf of all the winners. He said that this honor actually belonged to SSTM, a group full of vigor and creativity, and meanwhile he thanked the various sectors for their support in the spread of science. As a scientific researcher and manager of popular science venues, he hoped that more and more people can truly know science, understand science, love science and devote themselves to the cause of science popularization in the future.